Hudson Valley for No GMOs: Five Reasons GMOs Must Be Labeled! 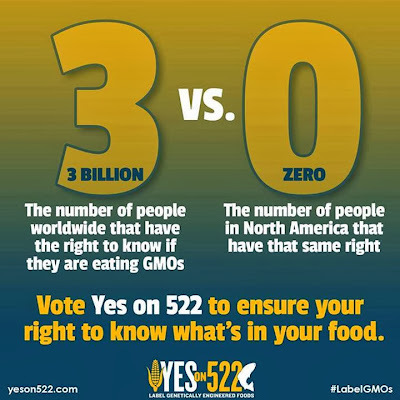 On Tuesday, residents of Washington State will vote on I 522- an initiative which would make Washington the first state to require the mandatory labeling of foods containing genetically modified organisms - GMOs. * Over 340,000 in the state signed a petition to get I 522 on the ballot. 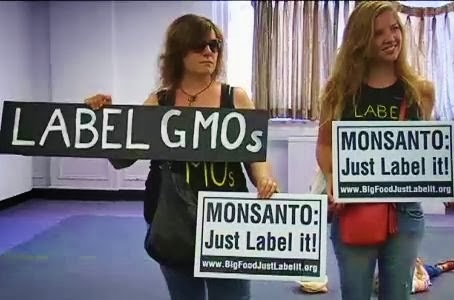 Over 90% of Americans want GM food to be labeled. Naturally, they want to know what they are eating and feeding their families. In Washington, 66% were in favor of labeling, until Monsanto and friends launched a $22 million campaign to frighten, confuse and misinform the public. Sadly, their endless, negative advertising is narrowing the gap between those for and against labeling. We still have a narrow lead, but time is short! 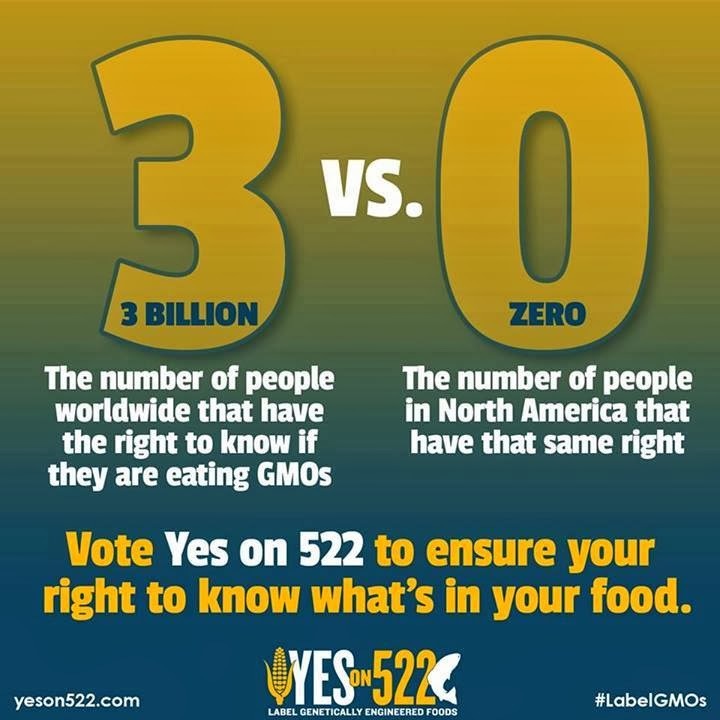 Please share our five reasons GMOs Must Be Labeled - Yes on 522! The rest of the industrialized world has demanded and won the right to know what they are eating and feeding their families, but in the US, we are kept in the dark, not only about what is in our food, but also about the consequences of eating GMOs. Only four individuals, giving a total of $500, have given to No on 522. 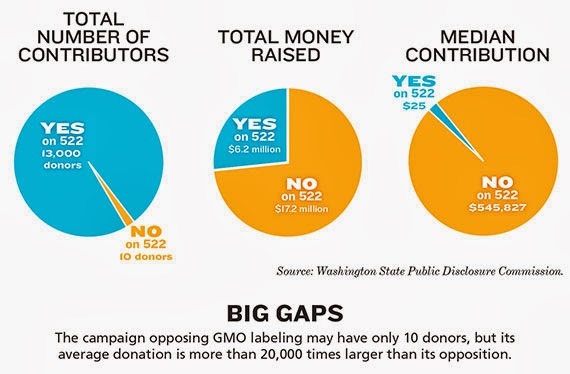 The rest of No on 522 donors are corporations, like Monsanto (that has contributed close to $10 million to deny you your right to know in CA and WA). The No side's average donation is 20,000 times larger than the average donation for labeling. Over $2.6 million given to Yes on 522 came from Washington State. Only $500 of over $22 million raised by No on 522 came from the state! Over 13,000 people; farmers, doctors, teachers, business owners, moms and dads and regular folks like you and me have contributed to Yes on 522. They say it will raise grocery prices, but labeling laws have been instituted in 64 countries with no price raises. They say labeling will contain misinformation and confuse customers. The biotech/chemical companies and big food manufacturers whose products are filled with GMOs are the ones misinforming and confusing the public. They say it will hurt farmers. That has also been proven false. For a complete debunking of the myths and misconceptions of I 522 click here. It really is not surprising the No on 522 is running such a dishonest campaign. Monsanto, one of the largest contributors, has been sued successfully here and abroad for deceptive advertising (they said RoundUp was safe, long after they knew it caused birth defects). 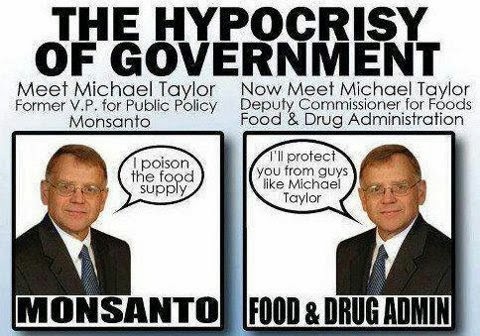 Monsanto also tells us GMOs are safe, but they said that about their other products too, like; DDT, PCBs, Agent Orange, Aspartame and Bovine Growth Hormone rBGH. None were. 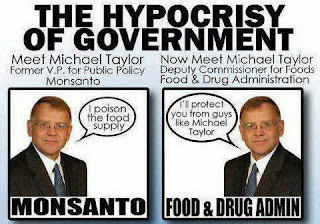 They have infiltrated every level of our government, writing legislation like the Monsanto Protection Act, which is now dead thanks to the public outcry. Also, the Indian High Court has reinstated criminal proceedings against Monsanto for bio-piracy in India. Is this really the company you want to trust with your food? 4. You Have a Right to Protect Yourself and Your Family from Products that Can Cause Harm. Contrary to the claims of the biotech industry, GMOs have NOT been proven safe. Over 200 scientists and physicians just signed a letter saying "there is no scientific consensus on GM safety." There are many animal feeding studies that have shown organ damage, infertility and premature death from eating a GM diet. There have been NO long term, human feeding studies. The only short term, human feeding study showed that GM plant DNA persist in our bodies. No follow-up studies were done. About 80% of the foods in your grocery store contain GMOs. This is because Monsanto has genetically modified about 90% of the corn, soy, canola, sugar beets and cottonseed in our country and many of these crops, or their derivatives, are found in processed food, ie high fructose corn syrup, beet sugar (if it just says sugar, it is probably beet) cottonseed oil, MSG and many more. Because they are so prevalent and unlabeled, the typical American consumes nearly 200 pounds of GMOs a year! Since their introduction in 1996, chronic diseases, allergies, obesity, autism, Alzheimer's. Parkinson's and more have all skyrocketed. The big food companies like Coke, Pepsi, Nestle, Hershey's and more that donated to No on 522 tried to use a money laundering scheme with the Grocery Manufacturers Association to hide their donations (and No on 522 just broke the law again). Supporters of No on 522 know they do not have a popular, or rational argument. You know you have lost when even Fox News runs a segment talking about the dangers of GMOs and the need to label them! Monsanto cannot have it both ways- they can't say their products are substantially different from conventional crops and therefore require patents, but when it comes to labeling, say they are the same and that we have no choice whether we eat them or not. It is un-American for big corporations to force their products on us without our knowledge. We demand transparency and true freedom of choice. 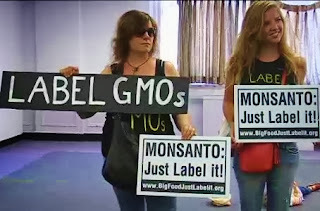 Tell Monsanto, "If you think your products are so great, then label them and let us decide." LABEL GMOs. 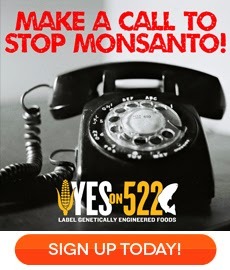 VOTE YES ON 522! *Connecticut and Maine have passed labeling laws, but need other states to also do so, before going into effect. 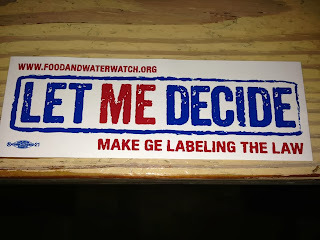 Hudson Valley for No GMOs will be working to pass a GM labeling law in NY in 2014. GMOFreeNY.net is spearheading the effort. There are similar bills in about 30 other states. 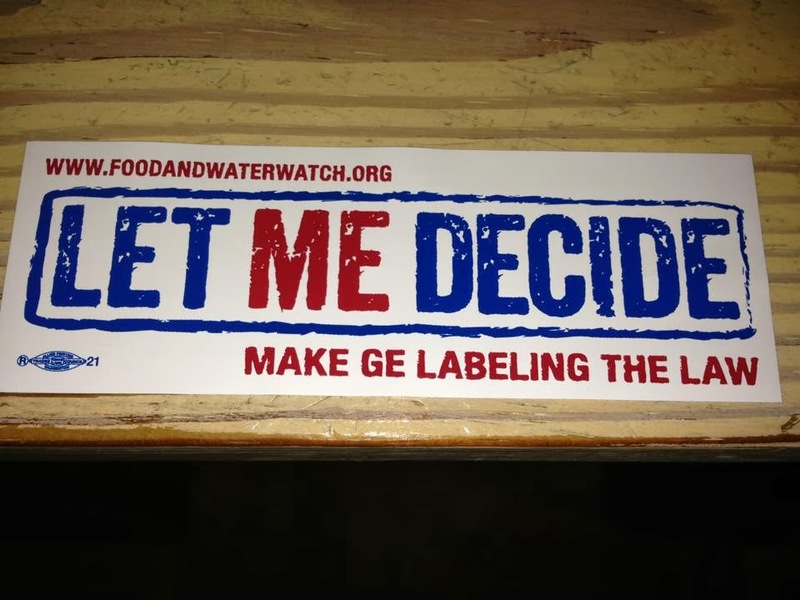 GM labeling is inevitable! Let's start with a win Tuesday in Washington. You can help. Make some calls today!